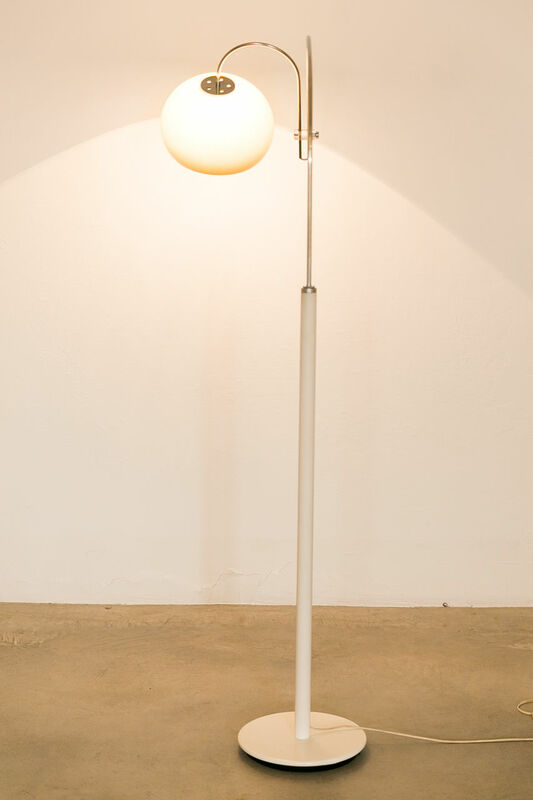 Guzzini Floor lamp with white plastic base and stem. 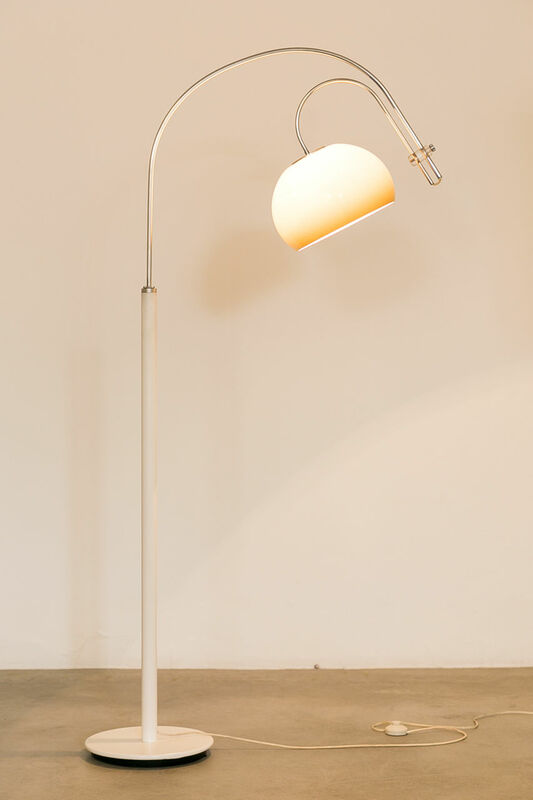 The arm is made of chrome and can be adjusted to change the position of the acrylic shade. 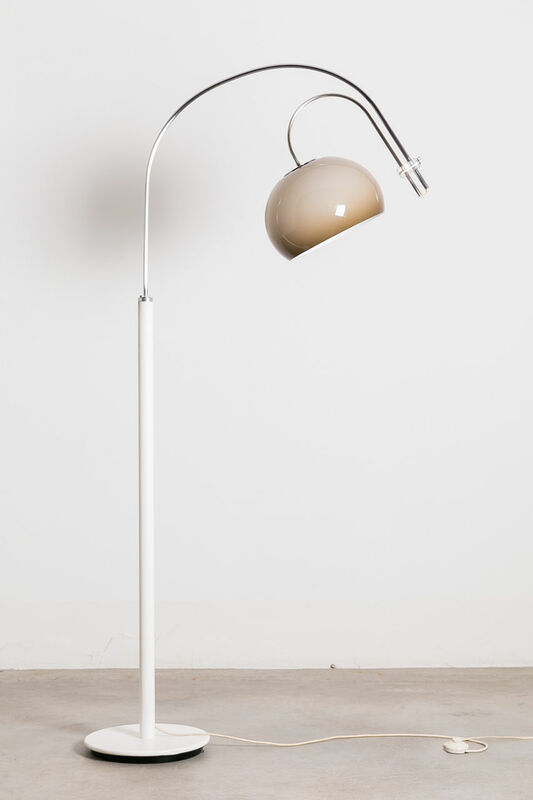 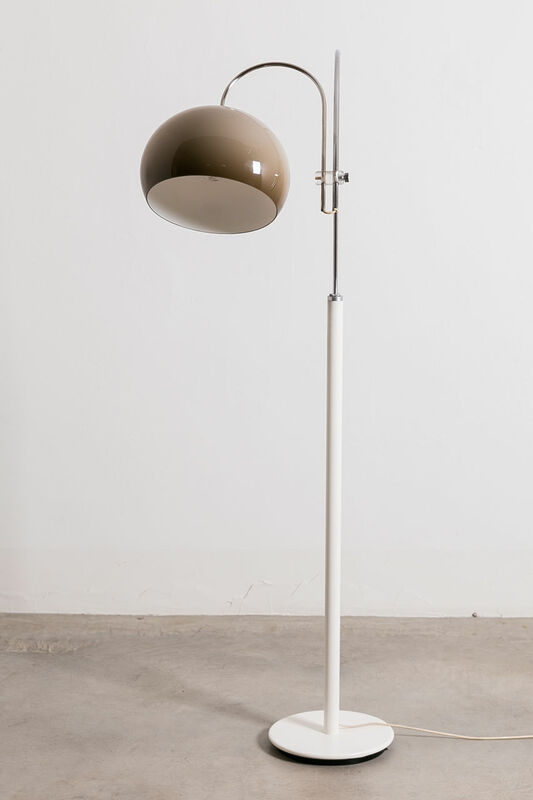 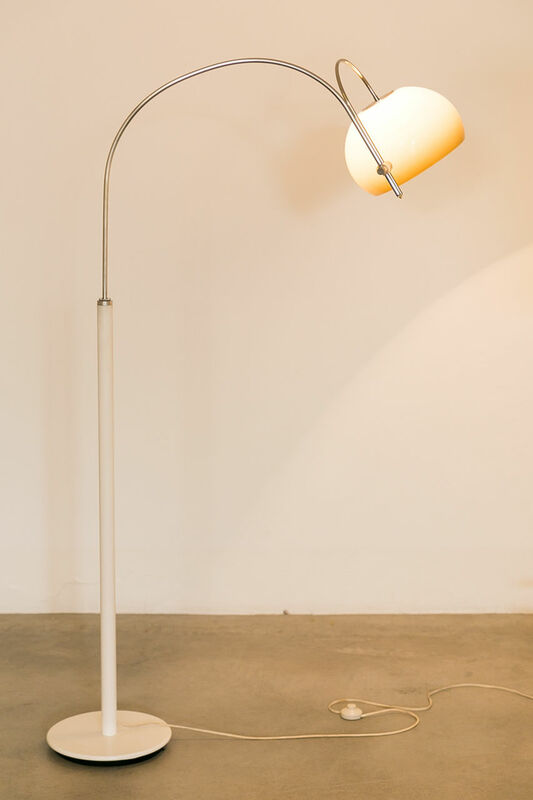 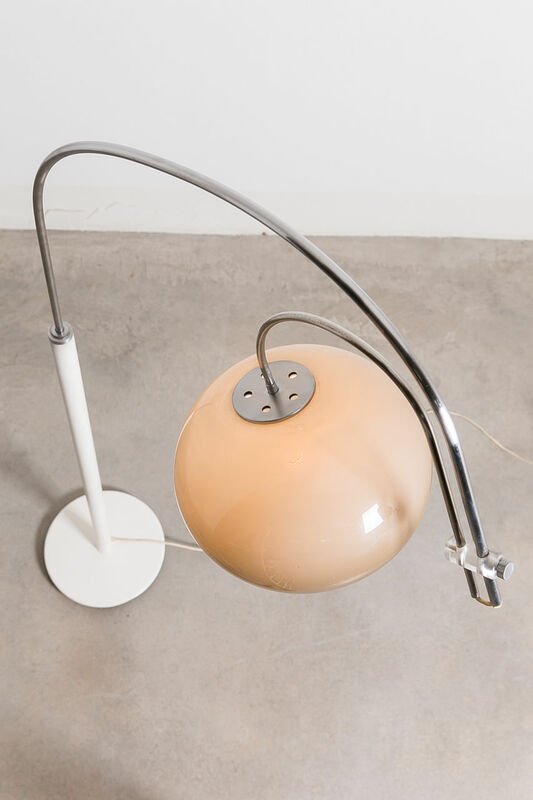 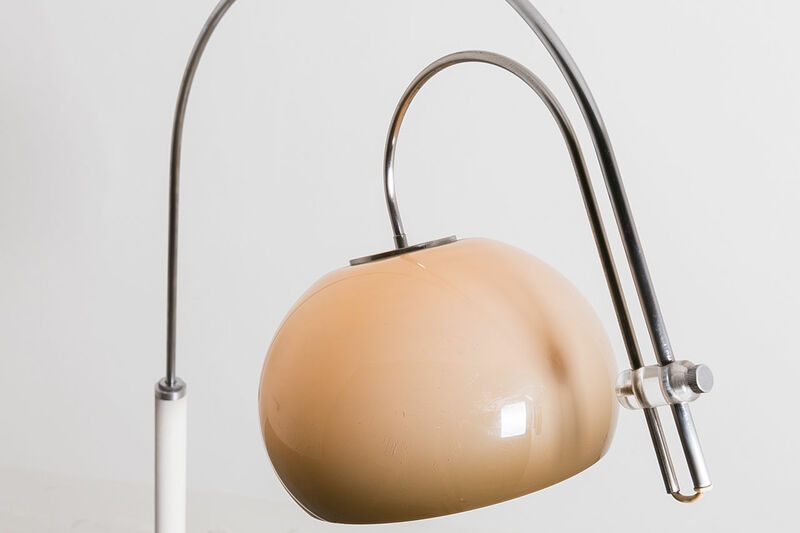 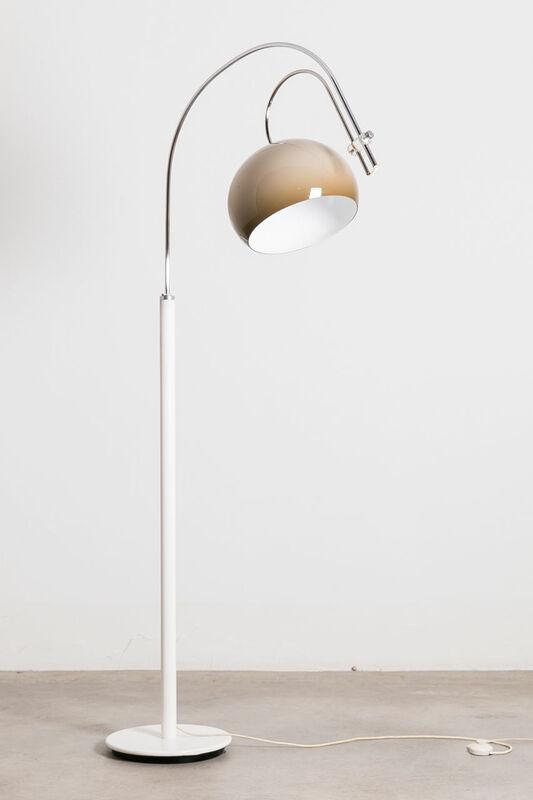 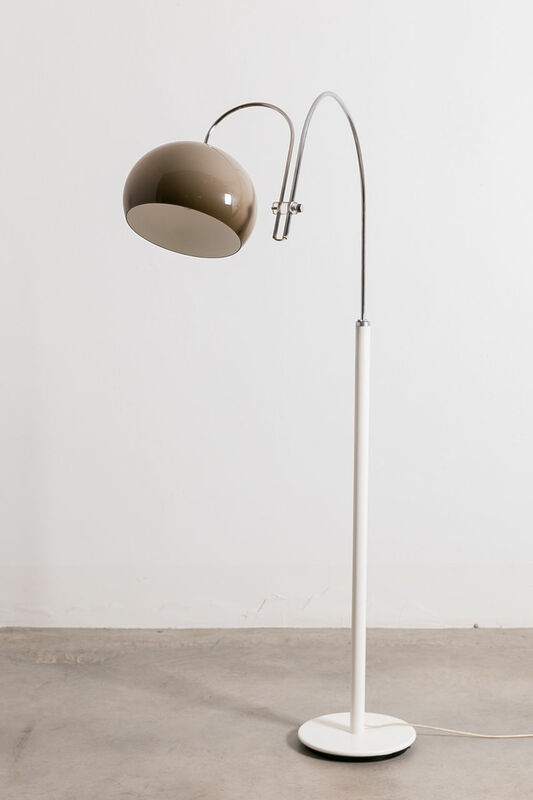 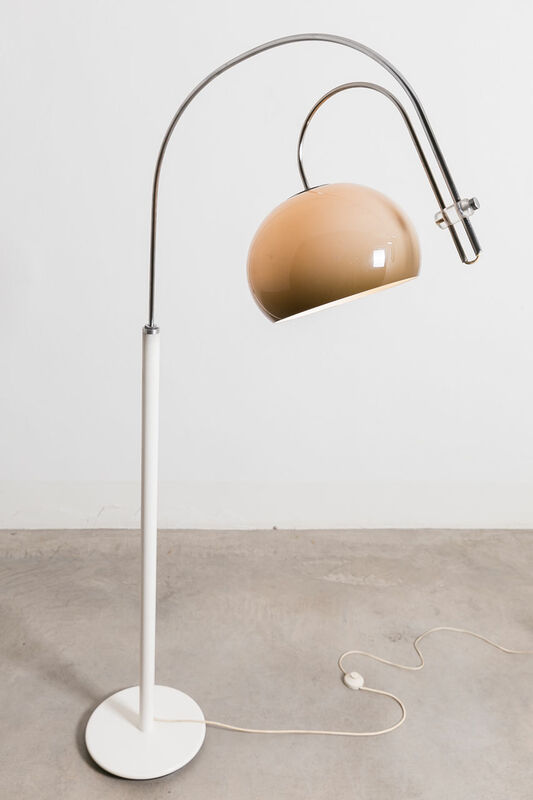 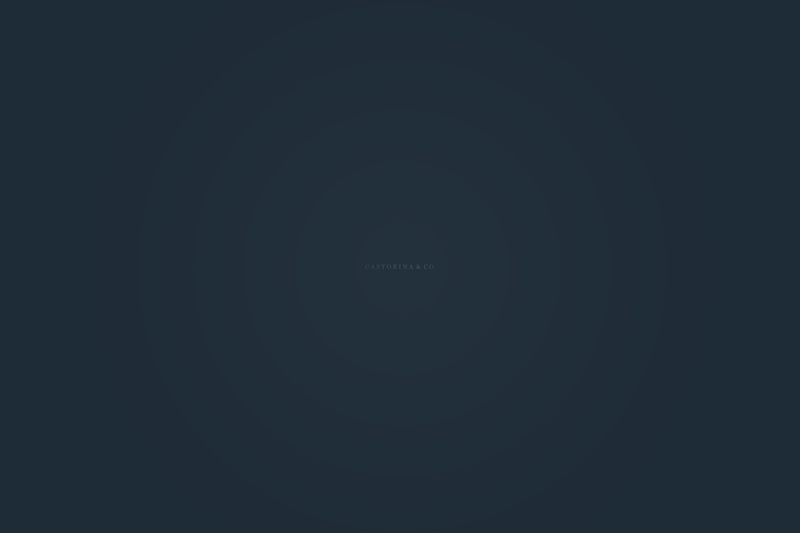 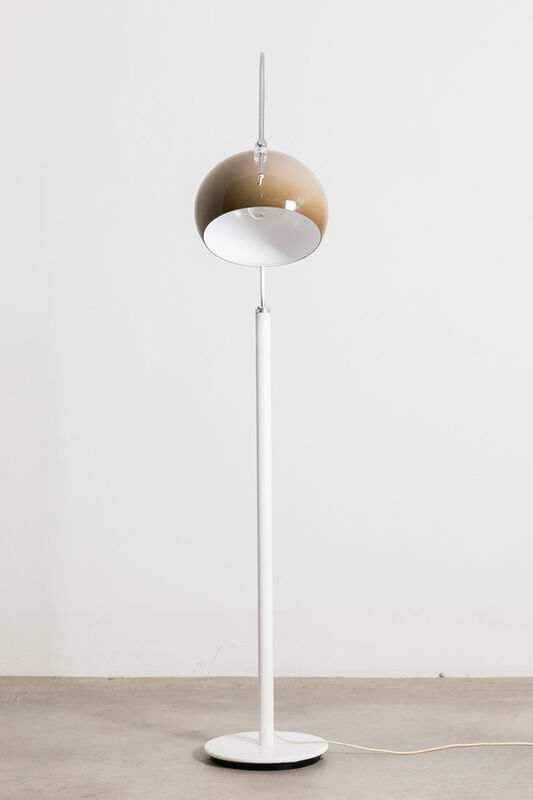 | Castorina & Co.
Guzzini Floor lamp with white plastic base and stem. 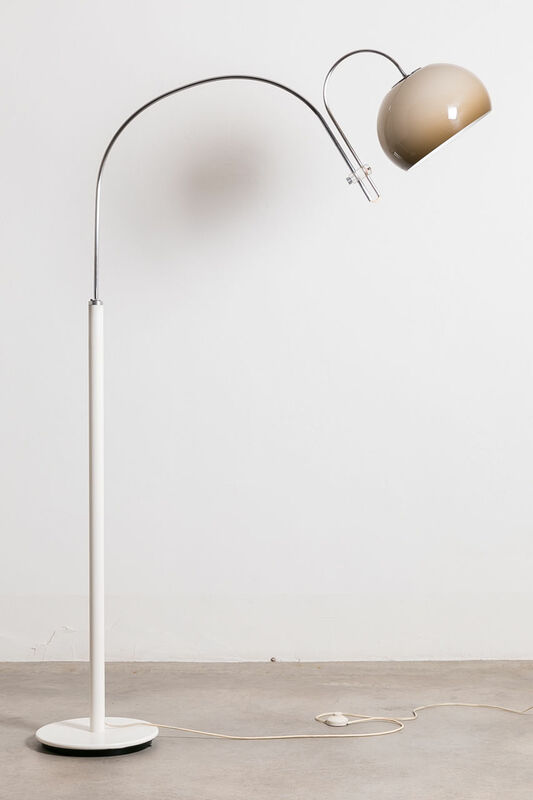 The arm is made of chrome and can be adjusted to change the position of the acrylic shade.